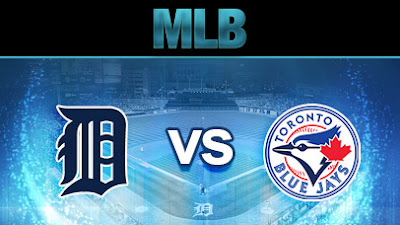 The Blue Jays look to secure a series win after their second-straight shutout of the Tigers yesterday. They are actually leading the division, small sample size and all. On the mound, Trent Thornton and his high leg kick makes his major-league debut for the Blue Jays as they look to win their third game in a row and put some distance between them and the last-place Red Sox. It's about as ideal as it gets for a guy making his MLB debut as he faces Matt Moore, who, let's put it this way, just has not been good the last couple of years and a less-potent-than-in-years-past Tigers lineup. Pitching, pitching, pitching. The Blue Jays staff have been absolutely lights-out - 27 regulation innings, zero runs, 9 hits, plenty of Ks. The fact it's coming mostly from three guys who have had injury issues is an even more encouraging sign. For Thornton, no pressure at all, kid. Just follow these three and you're golden. Position Player Pitching alert: Russell Martin pitched in last night's blowout for the Dodgers. Good to see our money being put to good use so far.